David Gilmour has announced a new album, Rattle That Lock, out September 18, a new single by the same name out July 17, and a small North American tour in the spring. Tickets for the concerts in Los Angeles, Toronto, Chicago, and New York City go on sale tomorrow at noon local on Ticketmaster's site; meanwhile, his official site has more information on the new material. 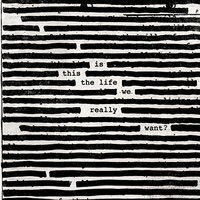 Tickets have gone on sale for US screenings of Roger Waters's The Wall concert film on September 29, including a post-film Q&A with Roger Waters and Nick Mason. This The Simple Facts session will feature questions submitted by fans, although it's currently unclear how the questions will be collected. The tickets are available at the Fathom Events site.